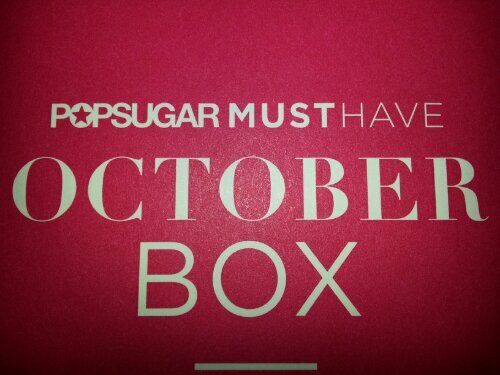 My first Pop Sugar Must Have box! Popsugar Must Have Box $35/month -> will go up to $40/month starting in November unless you lock in a lower subscription price during October. I used a coupon code to get $5 off my first box. Technically my first box was September, but I moved and that box is still at my old address waiting for me to pick it up. So this is actually my first – how exciting! 8 items plus a $20 coupon for Stitch Fix – a monthly clothing subscription that sends you 5 clothing items and you pay for only the ones you keep, minus a $20 credit. I may they this for one month only, I shop enough on my own to have to justify. “Wet” Detangling hair brush – what a useful item to include in this box! Jane Tran hair pins (set of 6) $12 (estimate based off of similar set from birchbox) – I will definitely use these for those sassy mid day hair strands. NYX Smokey Shadow Palette $7 – Meh, I never do a smokey eye, but I might use these individually. I found mixed reviews on the Google machine, so I may just pass this along to someone else. NYX Liquid Brown Liner $7 – Yes, I think I may get some regular use out of a liquid brown eye liner for an everyday look. Gorjana Bali Bead bracelet in hot pink– 100% of proceeds on their website go to Breast Cancer Connections. The Crispery Halloween Crispy Cake $4 – It’s more like a huge marshmallow with rice crispies in it, topped with sprinkles. I just ate half of it like a crazy person…sugar overload! It was a cute box to open, but I think I may cancel. I think I could better spend this money towards purchasing items I love or want/need. Nothing in this box jumps out like the feeling of “OHMYGOSh I can’t believe I have this now!” So I cannot justify paying $35-40 to continue this subscription. If I had income to spare I would like keep it for a short of entertainment value, but times are tough and decisions need to be made! It’s worth mentioning the accordion style info booklet is well designed, easy to read and much appreciated. That’s my quick rundown for the October box. What did you guys think of it? Am I coming down off the subscription box high? 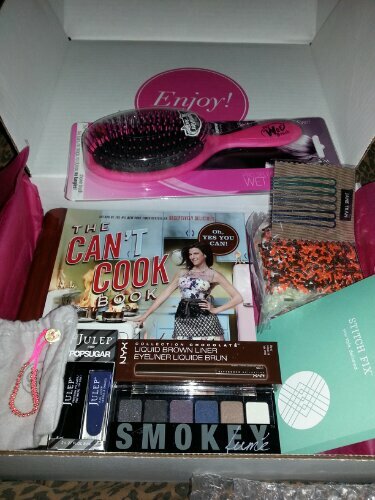 Is the Popsugar Must Have Box worth keeping? ?